Grand Valley State University’s student senate continued to work on promoting inclusion and decreasing student expenses at the general assembly on Thursday, Feb. 1. This week, the senators announced that they are working to get approval for a task force that would create a grant for GVSU professors. The grant would be tailored to help decrease what students are paying for textbooks. Szczepaniak further explained the logistics of the committee. The senate is just beginning to work on creating a committee to work on this grant, so there is no estimated time frame or guarantee that it will happen at this time. While the textbook grant would go far to improve all students’ experiences at GVSU, student senate is also working to improve transfer students’ experiences at the university. They have created a survey to help them better accomplish this task. Receiving this feedback is an important first step for the senate to help transfer students, so it’s important for them to participate in the survey. Transfer students interested in taking the survey can contact any members of student senate or email Ibarra at ibarrar@mail.gvsu.edu. 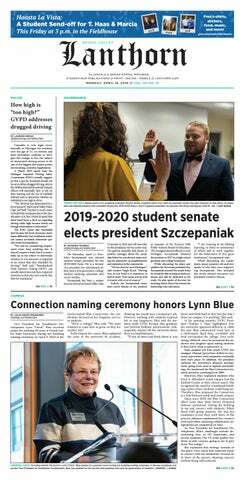 In addition to helping transfer students feel at home at GVSU, the student senate hopes to promote inclusion at GVSU by including their pronouns on their name plates. GVSU’s student senate meets on Thursdays at 4:30 p.m. in the Kirkhof Center Pere Marquette Room.